Sora’s journey is arduous to both spirit and body, but it is also revelatory. As she loses touch with her borrowed kami powers, Sora also finds that humans, including herself, are full of surprises. In finally accepting that she isn’t who or what she believed, Sora is faced with a future that is completely unknowable – her destiny is in her own hands. 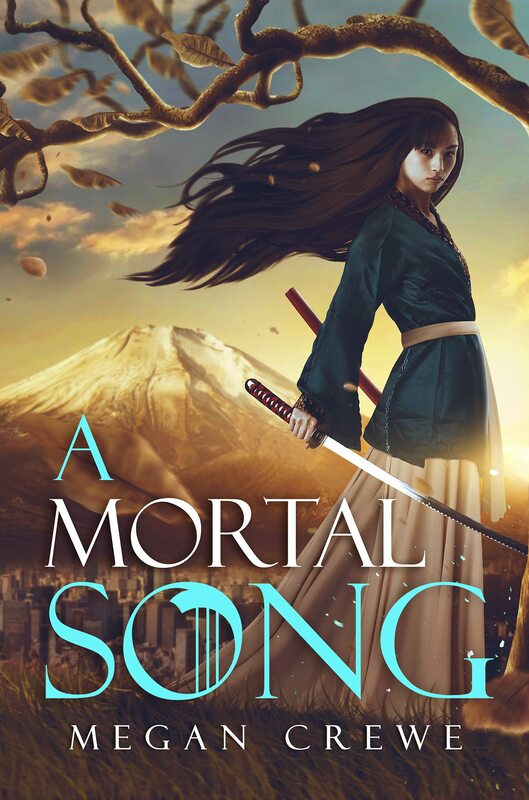 As with her previous books, Crewe toys with the boundaries and tropes of science fiction and fantasy, making A Mortal Song a truly enjoyable read. The story incorporates Japanese folklore and myth. The magic of the kami and the not-so-chosen-one character of Sora are especially appealing. While the pace is somewhat cumbersome due to lengthy sections of dialogue and a few too many action sequences, the book is still a can’t-miss for fans of Crewe’s previous titles, those interested in Japanese culture and folklore, and voracious science-fiction lovers. Readers will not be disappointed as they follow this relatable and compassionate heroine on her way home, wherever that home may be.